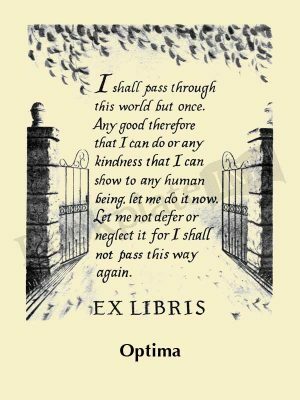 This inspirational quote is associated with Quaker leader William Penn. The design was created by Tom Eaglin and offered by the Antioch Company in the 1960s. There is room for two lines of text, if needed.